The company is a New Holland dealer. With Scotland’s farm safety record continuing to be one of the poorest across the UK, the fresh bid to reduce the rate of farm fatalities and injuries co-incides with harvest time. Last year there were 33 deaths in the agricultural industry in the UK, with five in Scotland. The most common causes continue to involve falls, transport, animals and equipment. The Farm Safety Partnership Scotland (FSPS), which consists of key industry stakeholders, will now be focusing on different types of farming activities each quarter to deliver key messages and encourage those working and living on Scotland’s farms and crofts to take action. Between September and November, the campaign will focus on general maintenance on farm, falls from heights and safety at harvest. Over the last five years 38 people have been killed in the UK by a moving vehicle; 12 people have been killed by contact with machinery; 10 have been killed by asphyxiation or drowning, including in grain stores or slurry pits, and eight people have been killed by contact with electricity. The data does not take into account the number of injuries on Scotland’s farms and crofts, a total that is believed to be significantly higher. 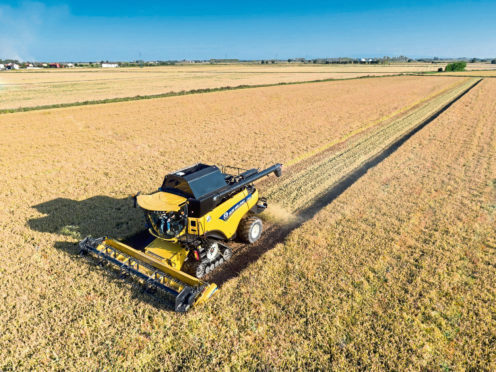 “For those amidst harvest, it is essential that they practice the ‘Safe Stop’ method when working with machinery, equipment and vehicles – handbrake on, controls in neutral, engine off, keys out,” said the FSPS.